Let us help you get your door fixed with out the hassle of a service call. If you can't figure it out though, we are here to help take the stress away. There are many causes for a garage door malfunction. Sometimes, a do-it-yourself solution is possible. But, how do you know when it is time to call a professional? Let us help you get your door fixed without the hassle of a service call. If you can’t figure it out though, we are here to help take the stress away. 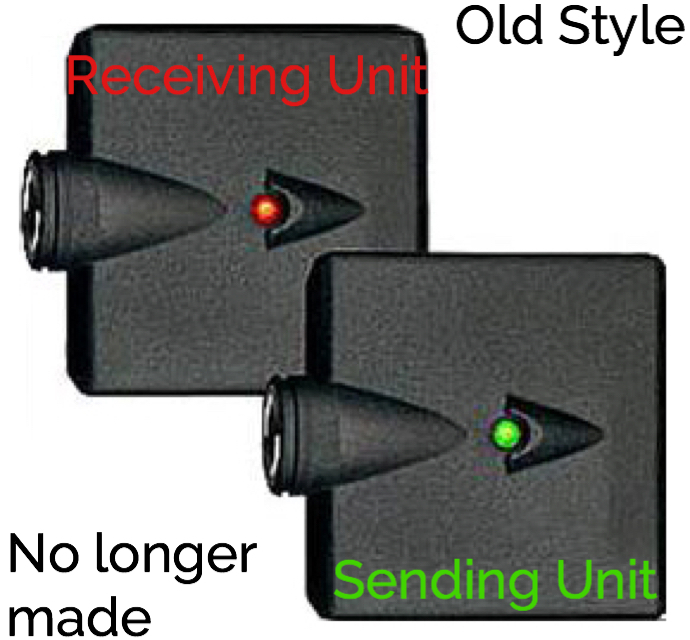 There are many different configurations of garage door sensors which can cause a variety of issues. The sensors are attached to the track or wall. They transmit an invisible beam across the length of the door to detect anything that might obscure or obstruct the door from successfully opening or closing. If the beam is interrupted, it will prevent the door from closing; this protects the door from being damages but, more importantly, it will protect other things from being damaged or harmed by the door such as a pet or child. Sensor alignment should be checked on a regular basis to ensure that they are working properly. Daily life can allow many opportunities for these little sensors to be knocked out of line or damaged which can be very frustrating. The diagram and videos below illustrate how the lights will appear when they are working correctly and tips to adjust them if they are not working properly. If these tips don’t help, you can schedule an appointment below to enlist the help of a trained professional from Southwest Garage Doors. If you have successfully aligned the sensors but are still having problems, you might consider if sunlight interference might be part of the problem. Living in the sunshine state has its benefits, but garage door sensors don’t take well to misdirected sunlight. You will need to evaluate the sunbeam direction throughout the day to determine if the sunlight is shining brightly into the transmitting sensor. One solution is to swap the placement of the sensor output and input locations to avoid direct sunbeams. A secondary solution might be to replace the sensor because they can lose transmission and receiving strength over time from various factors. Sensors may seem like a small part of the garage door, but they may be the most important in proper functionality and, most importantly, safety for everyone. 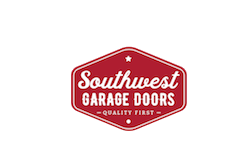 Call Southwest Garage Door today if you are ready to get help with your safety sensor issues. Garage Door Safety Sensors are the little Sensors that are attached to the track or wall that transmit an invisible beam. If this beam is disrupted or the Sensors are not pointed in a close proximity to each other the door WILL NOT CLOSE. This is a safety feature and fail safe to keep you from closing your door on your kids bicycle or even your CHILD! 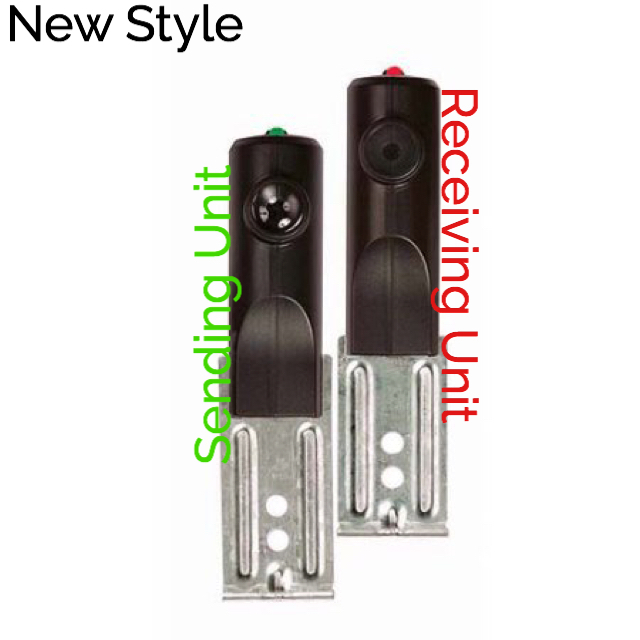 When aligning safety sensors there is always a sending Sensor and a receiving Sensor. Getting these lined up after one is knocked out of alignment is a pretty simple task but, can definitely be frustrating. The Diagram below demonstrates how the lights on the sensors should be illuminated. If you still can't figure it out, use the link below to schedule an appointment or give us a call! There are cases that your sensors are perfectly aligned but, the DOOR STILL WONT CLOSE at times. Sunlight can be a factor, after all we do live in the sunniest state. As our seasons change so does the sun and it can run an interference with that sensor beam. 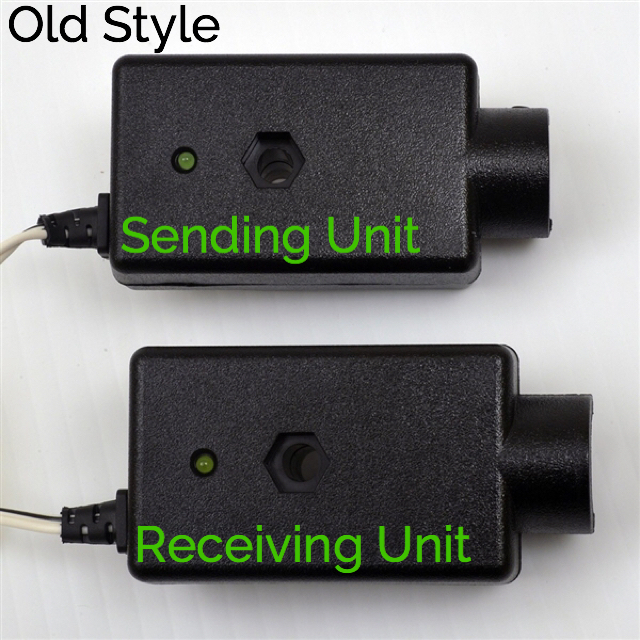 Two ways to fix this are to either swap the sending sensor to the position that receives the most sun instead of the receiving sensor. 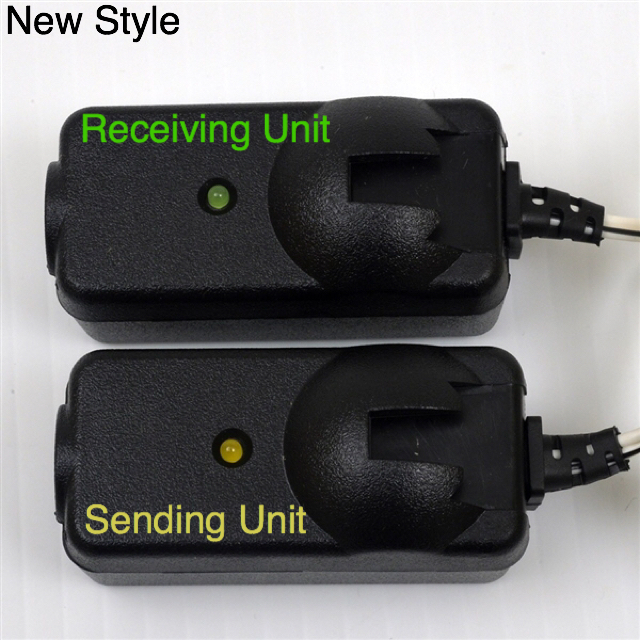 The other is to actually replace the sensor because they can actually lose transmission and receiving strength.